resistant exterior material as well as high-quality manufacturing it is especially tear-proof and durable. toiletries. The special shirt compartment also helps you keep your shirts wrinkle free. etc. Power supply units and cables are conveniently stored in the integrated cable bag. additional handle cup on the underside. 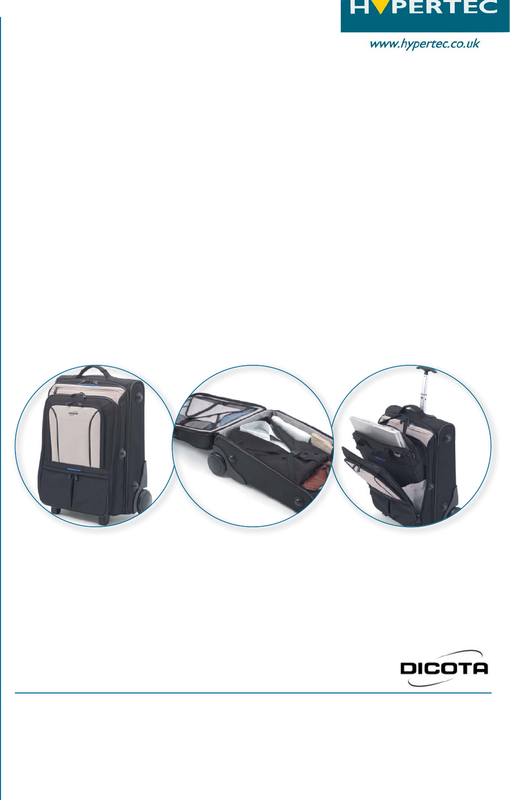 The new NotebookCompanion L has a capacity of 36 litres. The NotebookCompanion is also available in S (16 litres) and M (24 litres).